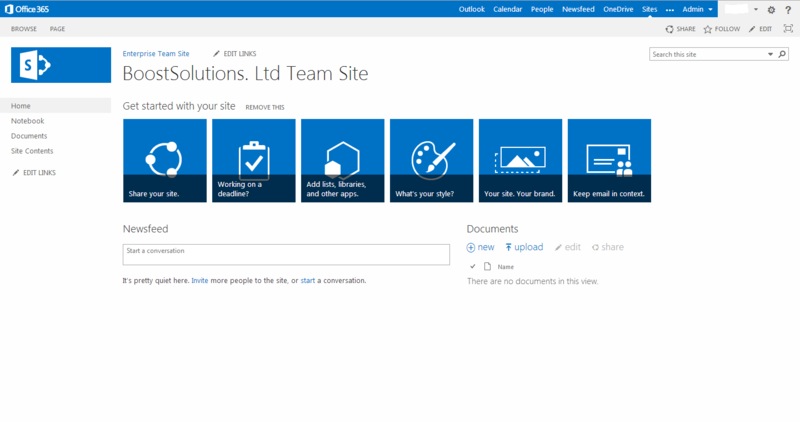 SharePoint 2013 and SharePoint Online have a number of ways you can organize your site. 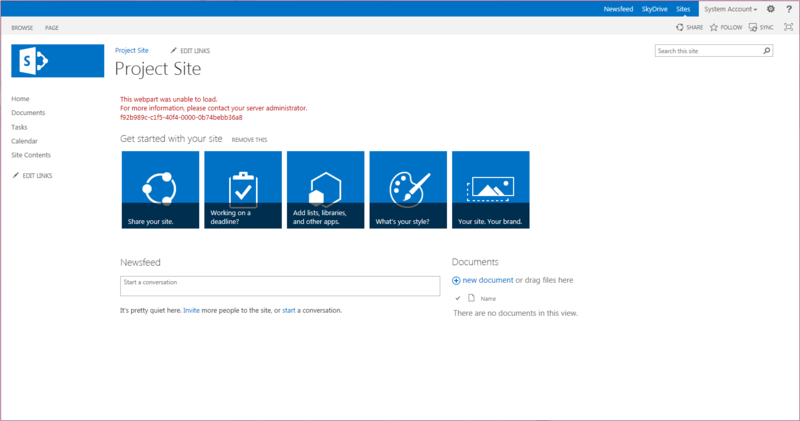 Besides the default team site that you always see when you use SharePoint, SharePoint also contains a number of out-of-the-box site templates. There are a total of four sections, of which three sections, Collaboration, Enterprise and Publishing, contain the site templates we will be looking at. The other section, Custom, is reserved for templates that you create. 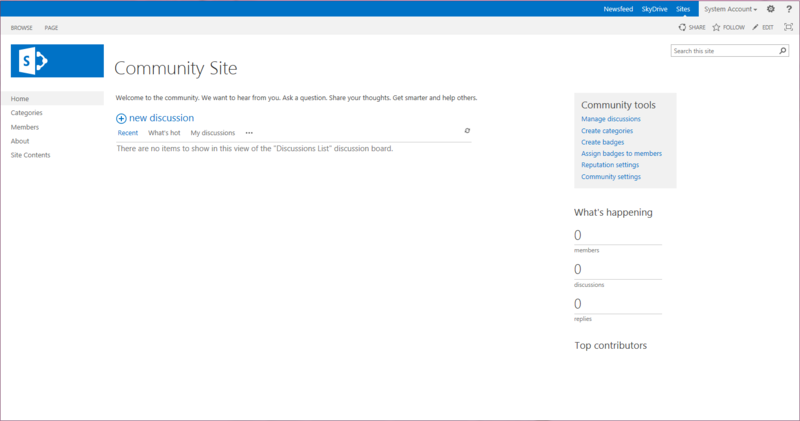 The most common SharePoint site template used for group collaboration and sharing of information. This site is geared for users or groups to write their opinions, share ideas, make observations and is a great place to share information. 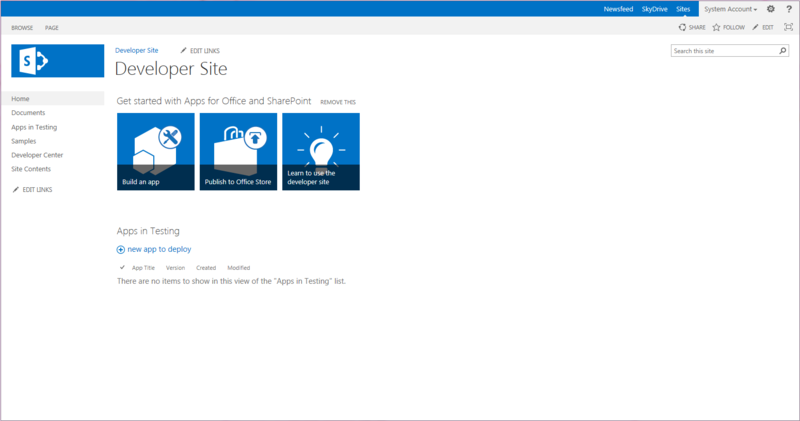 On this site, developers can build, test and publish their apps for Office. This site is used when a number of people need to work together on a project. 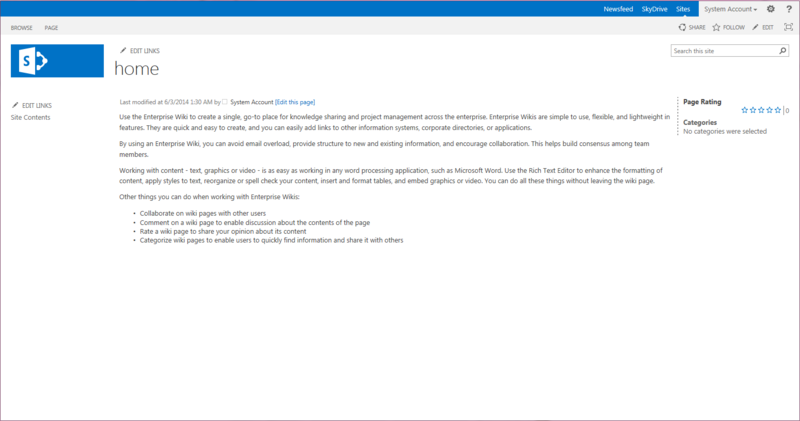 This site helps you manage and collaborate on a project. This site allows users to discuss topics of common interests. 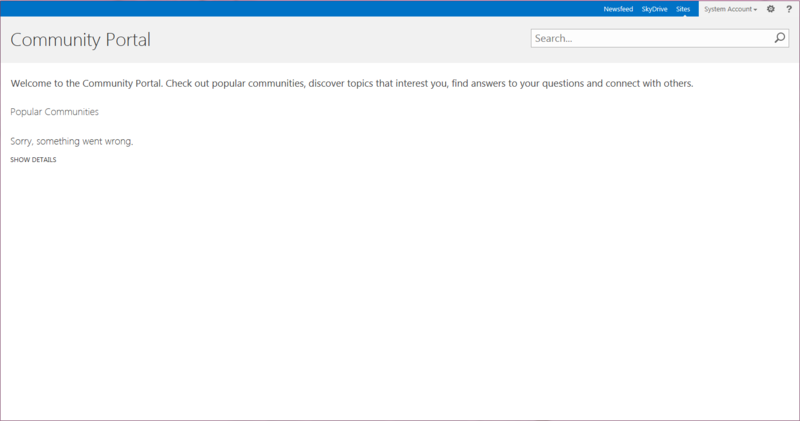 Topics can be found by exploring categories, sorting discussions by popularity and so on. Participants can get points when starting discussions, replying to discussions, liking posts and so on. This site is used to manage the preservation, search, and export of content for legal matters and investigations. This site is used for long-term archival purposes. 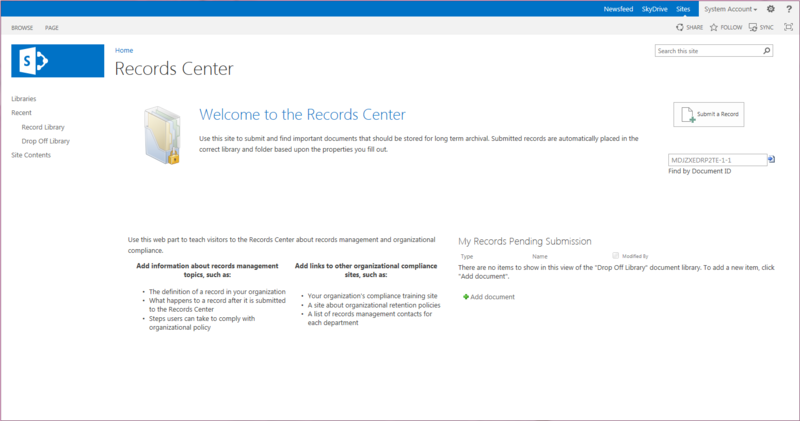 Documents are still searchable and you can manage whether records can be deleted or modified after they are added to the repository. 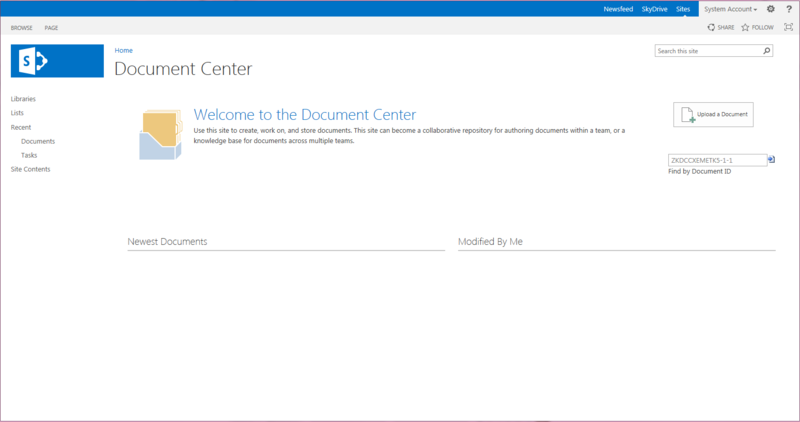 This site has similar functions with the default team site found in the Collaboration Template section. This site allows users to edit, create new sites and share them with external users. 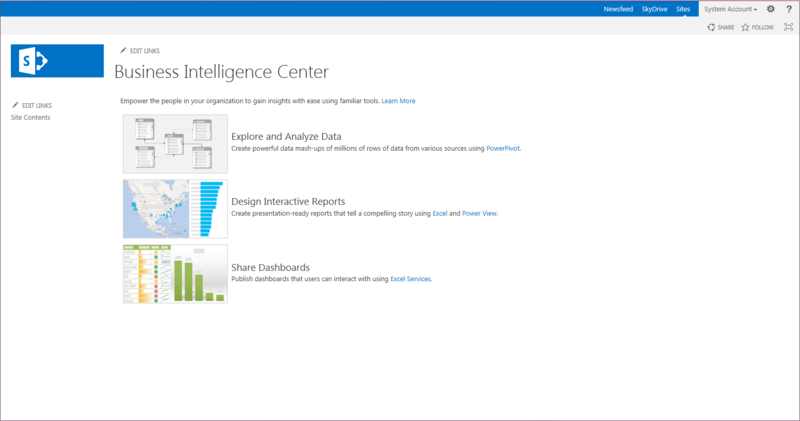 This site is used for presenting Business Intelligence content in SharePoint. This site is for enterprise-wide search . 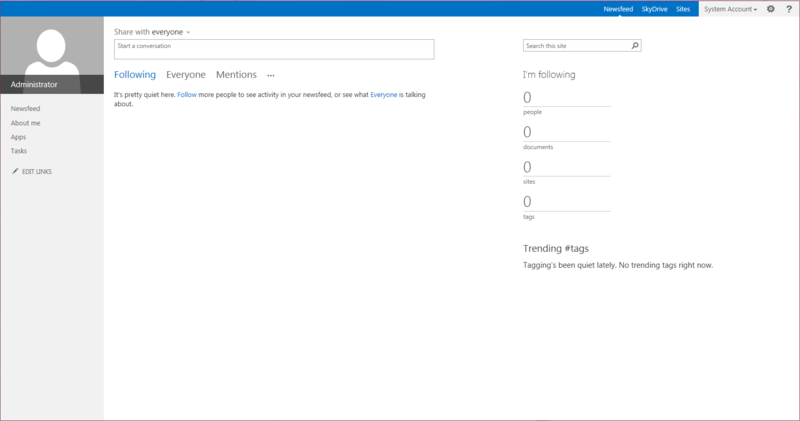 The welcome page includes a search box that connects users to four search results pages : one for general searches, one for people searches, one for conversation searches and one for video searches. You can also customize the results of this page. You can use this site to host your personal sites (My Sites) and the public People Profile page. 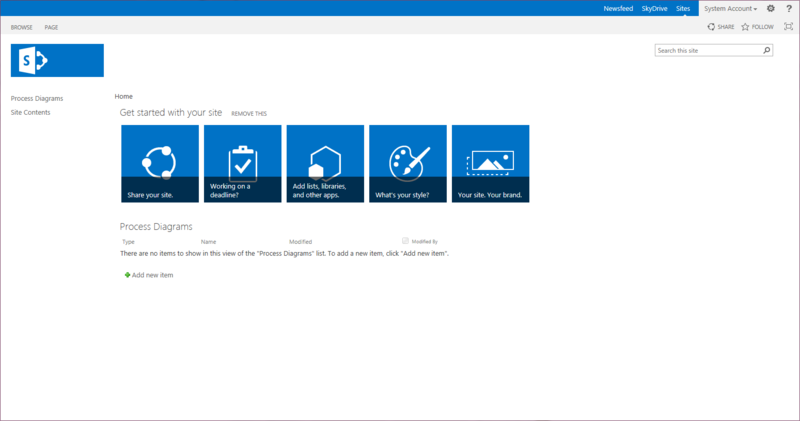 This template needs to be provisioned only once per User Profile Service Application. Use this site to discover new communities. 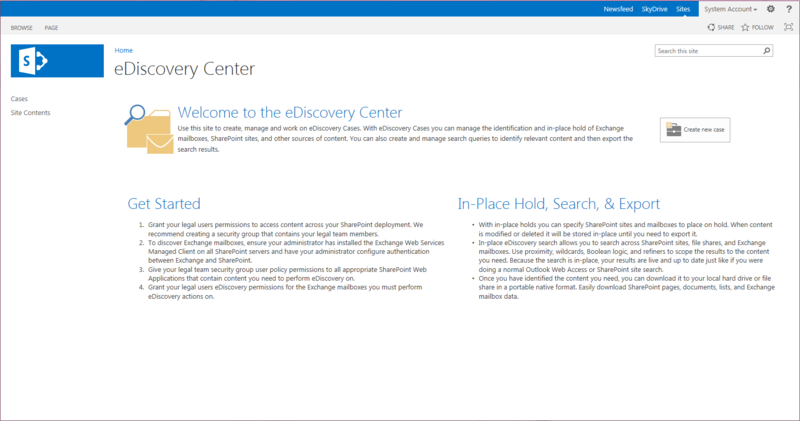 This site, unlike the Enterprise Search Center, is a simple and basic search site. The welcome page has a search box that connects users to the search results page and an advanced search page. 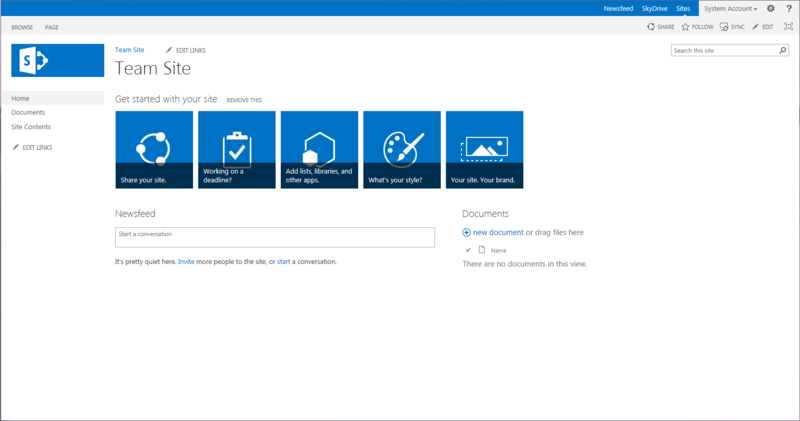 This site is for viewing, sharing, and storing Visio process diagrams. It includes a templates for Basic Flowcharts, Cross-functional Flowcharts, and BPMN diagrams. This site is used for internet-facing sites or large intranet portals. This site can be customized with your own branding. It includes a home page, a sample press releases sub-site, a Search Center, and a log-in page. This site for publishing knowledge that you capture and want to share across the enterprise. This site is for managing your product catalog data which can be published to an internet-facing site through search. If you cannot find a site template that meets your needs then you can create your own custom template, which is then accessible from the Custom section. You are so interesting! I don’t suppose I’ve read something like that before. So wonderful to discover somebody with some original thoughts on this issue. Seriously.. thank you for starting this up. This web site is one thing that’s needed on the internet, someone with a bit of originality! thanks. 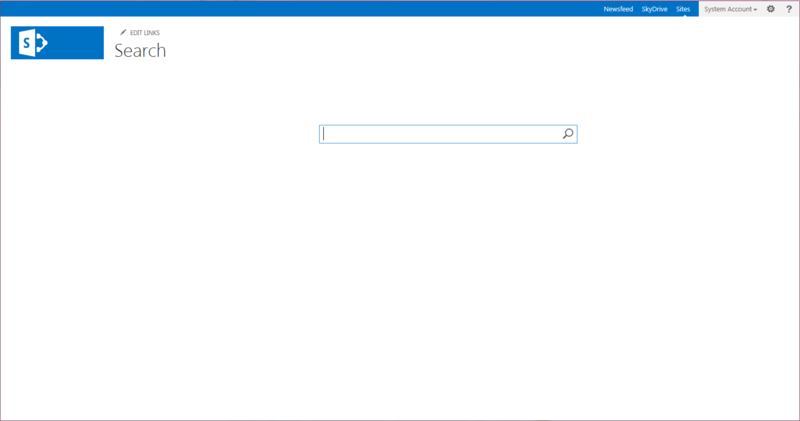 it is very nice theme. so useful how can i contact with you ? I appreciate your share. The templates are indeed excellent, I am sure that they will come in handy for any online entrepreneur. внезапно заболел или в аварию попал, что тоже может быть.